It’s Friday! I feel like the week flew by. Anyone else? How do you celebrate? And a far more important question; do you celebrate your accomplishments? We’re pushing it so hard every day to make our goals happen – and it is so important that we celebrate when we make progress. Celebrating what you achieve can be energizing and help you stay motivated to keep achieving more. Plus, it gives you a chance to acknowledge and process the changes that are happening. There are a few different ways to go about celebrating and a when I use the word celebration, I am not implying you need to go all out (but if you do, that is okay too). Celebrations can be as personal or as public as you want them to be. Depending on the goal, I’ll set up a reward system in advance (especially for the long-term or difficult goals) as it helps create extra motivation along the way. Some of my favorite rewards are a pedicure, shopping or to get a blowout. Other times I’ll tell myself nice work. And when it’s a big goal I’ll splurge on something I normally wouldn’t buy myself. There is a good chance I might include a pat on the back, pedicure, and blowout too. I am a huge fan of goals. They help keep me accountable and when I achieve a goal – I celebrate. My celebration style may not be for you, but its perfect for me. I find celebrating to be a mood booster and it helps me actualize that I did accomplish something. The celebration allows me to soak it in, take a pause and redirect my thinking to what I’m going to do to keep moving forward. Speaking of celebrating, I am excited to share I recently got a promotion! I look forward to the opportunity and challenges ahead. The reality is still setting in. It was a big goal to achieve and I feel like I’ve been celebrating a ton. The Vegas trip was planned long before any of this came up, but it was perfectly timed. 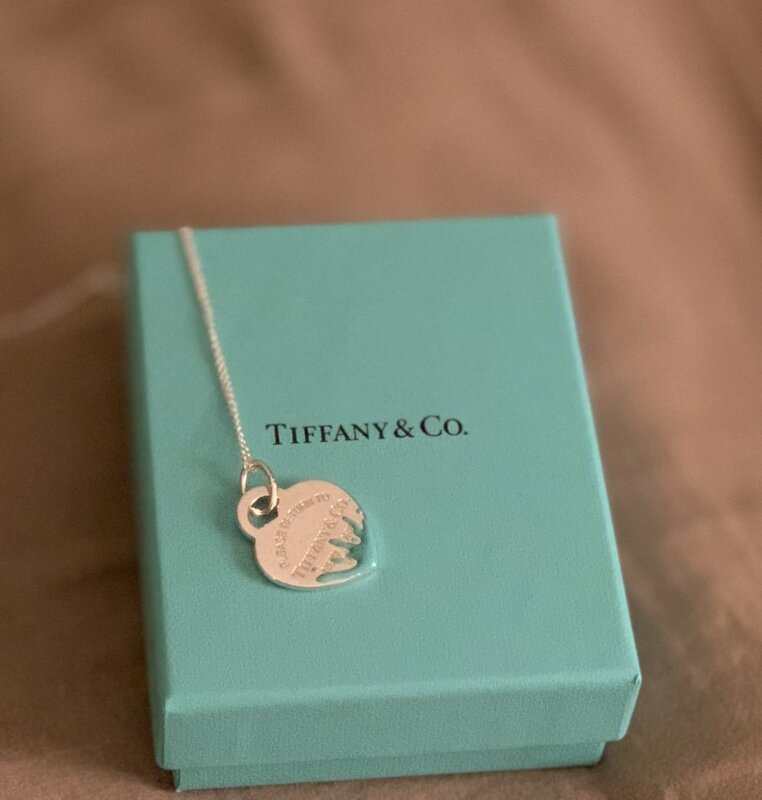 I decided while we were there that I’d get myself a Tiffany & Co. necklace I’ve had my eye on. Every day I wear it, I think about how I need to stay on top of my game and that I can push myself to new limits. It will serve as an excellent reminder on the most challenging of days. Cheers to all our future celebrations. Keep breaking glass!